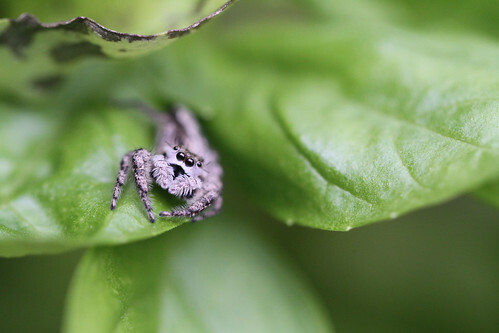 Jumping Spider on Basil, a photo by Barbara2112 on Flickr. This little guy was just as curious about me as I was about him. Isn’t he soooo cute! This is another picture found from my forgotten Flickr account. I also found out something very interesting that I had no idea one could do from a WordPress site and that is posting a photo directly from Flickr! That makes things so much easier.